Over the first several months of this year, two committees—one appointed by Governor Kasich and one by Attorney General DeWine—have taken a closer look at how Ohio’s police officers are trained, as well as several other areas of community-police relations. The Attorney General’s report mostly looked at training standards and identified ways for how they can be improved. With both commissions wrapping up their studies in recent weeks, the state legislature is now working on crafting policies to address some of the proposed changes. The work done on the committees has given us a better sense of where Ohio stacks up against other states and standards. For instance, Ohio is one of only three states that do not require its law enforcement officers to have earned a high school diploma or GED. While it is important to note that the overwhelming majority of officers in Ohio have in fact graduated from high school, it was interesting nonetheless to see that our state is among the very few not to require it. Reps. Tim Derickson, of Oxford, and Nathan Manning, of North Ridgeville, have introduced House Bill 204, which addresses standards for law enforcement training in a few key areas. Making sure that the training that law enforcement officers undergo is extensive and up-to-date is important for the safety of both the officers and the public they protect. Our police officers put their lives on the line each day to keep us safe, so therefore it is imperative that the state-mandated training requirements are substantial so that they will be prepared for any situation. HB 204 requires all peace officers in Ohio to earn a high school diploma or GED prior to being appointed. The bill would also remove the existing cap of 650 required training hours. This will give the state’s police training commission greater flexibility to increase the number of hours required. The findings and recommendations issued by the respective committees on this very important issue have proved incredibly valuable for the legislature’s work up to this point and will continue to be helpful as we move ahead with further reforms. Last month, our nation recognized both “Police Week” and “Peace Officer Memorial Day” to commemorate the hard work and sacrifice that our officers dedicate in order to maintain order and safety throughout our communities. Any legislation that comes before the Ohio House in regards to revising training requirements will be treated with caution and seriousness, for the sake of both the officers and the residents of this great state. 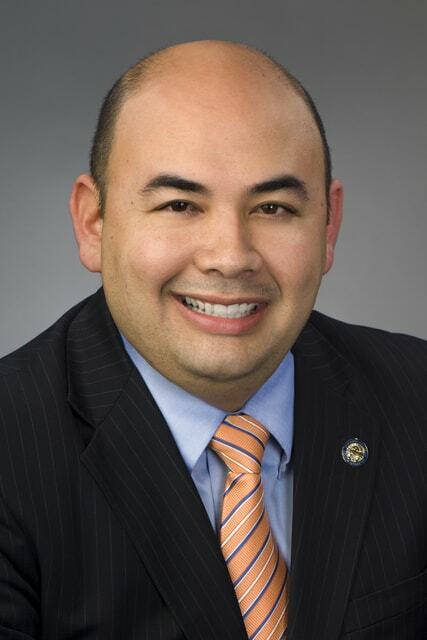 Ohio Speaker of the House Cliff Rosenberger represents the 91st District, which includes Clinton County.